The Church of St Peter and St Paul the Apostles in Treimani was completed in 1935 to the designs of architect Märt Merivälja. It is not a typical example of Orthodox church architecture - its roof reflects the nationalist and romantic character of the 1920s and 1930s, while its unusual tower is rather squat. Did you know...? 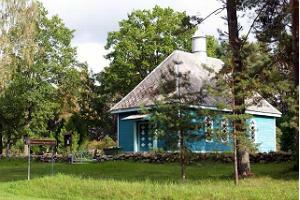 The 'onion domes' that traditionally adorn Orthodox churches went unbuilt on this church at the request of the locals. In July 1938 the Päevaleht newspaper wrote: "The tower was not constructed in 1935, as some of the congregation objected to the old-fashioned onion-like design." 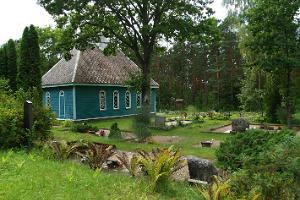 The church is a cultural monument of the Republic of Estonia.